Mindful Kreative has partnered with Healthy Start, Inc./Allegheny County to create and write a theme-based package to aid in communicating their organization’s mission and pioneering efforts to key legislative officials and private funders responsible for providing critical financial support. The package combines a brochure piece highlighting capabilities, an annual report and related giveaway that imaginatively tell their story. 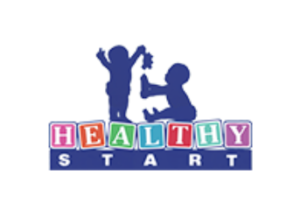 Each year, Healthy Start, Inc., a not-for-profit organization focused primarily on the reduction of infant mortality and low birth weight babies in Southwestern Pennsylvania, participates in the National Healthy Start Association Conference (HSA) in Washington, DC. The event provides an opportunity for all 104 federally-funded projects to present information pertaining to their project’s innovative programs while also petitioning legislative officials at state and federal levels for additional funding to help sustain their existence. Mindful Kreative has been challenged to communicate effectively and creatively (yet humbly) how our client, Healthy Start, Inc., differentiates itself among its peer projects. Our client has consistently been named among the top five Healthy Start projects in the nation for its pioneering approach to combating the prevalent health issue of infant mortality and low birth weight babies. In an attempt to stand out among a sea of other capabilities pieces displayed by Healthy Start projects from around the nation, each year we have developed a package that tells the Healthy Start/Allegheny County story in a way that is theme-based and engages the reader – guiding them through the program’s progress. The package is given to various elected legislative officials, their key staff members and other health professionals who serve as key stakeholders and decision makers. A great deal of brainstorming and conceptual development goes into the beginning stages of the project. After interviewing the Healthy Start, Inc. team and accessing their needs and feelings towards the past year, Mindful Kreative develops a concept or theme that helps to tell the Healthy Start, Inc. story. The theme is often developed in conjunction with projects or happenings the team feels are important from the past year or years. Most importantly, the theme is developed to support the Healthy Start, Inc. mission. Really wanting to focus on the relationships Healthy Start, Inc. has with Staff, their Board of Directors, local Consortia, Legislative Officials, Health and Human Service Providers, Vendors, Children, Mothers, Fathers, Caregivers and Friends of Healthy Start, we introduced the “It’s All about the Relationships” theme. The text highlighted the theme by focusing on the importance of these specific groups, while also highlighting testimonials of participants and the impact the Healthy Start, Inc. staff has had in their lives. 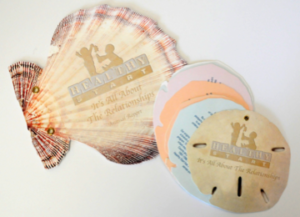 The packaging displayed a whimsical lighthearted beach-like feel, where the booklets were in the shape of seashells and the final packaging contained netting, a Healthy Start, Inc. beach pail, shovel and giveaway. Starting out as just a pilot project, only meant to last for five years, the Healthy Start, Inc. team is very proud of the strides that they have made. Because of this, we developed the “Beyond Our Wildest Dreams” theme. The jungle theme helped to share how many of Healthy Start Inc.’s dreams have become reality over the years. With the theme in mind, we crafted the content by adding common “jungle” references to help enhance the text, while tying in with the mission and important messaging. By doing so, the jungle references merged the content and visual images together, helping to bring the words to life in a fun and ingenious way – both literally and visually. The packaging was eye-catching and custom-designed to showcase the various pieces in the “package” that were distinct yet functional. 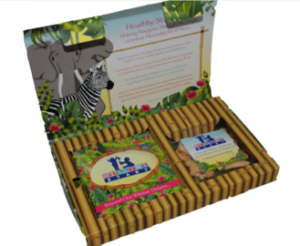 Not only was the packaging customized for Healthy Start, Inc., but it also utilized creative elements, like a spot varnish finish on the packaging and booklet covers, helped to give a 3-D effect that made the animals more realistic. Most important, the packages were also designed to be easily transportable for taking to the conference as well as self-mailers for those targeted post-event. Healthy Start, Inc. celebrated their 20-year anniversary and wanted a piece that would highlight their accomplishments in a way that was engaging, yet glamorous. We came up with the “Platinum and Promises” theme because of their 20th anniversary celebration of making, and keeping, promises to drastically reduce infant mortality and low birth weight babies in the communities they serve. The piece centered on a music album featuring the “greatest hits” of the past 20-years. 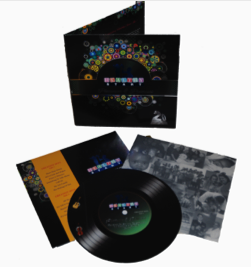 The package and booklet displayed custom die cuts with psychedelic foiling to create the look and feel of a real record album. 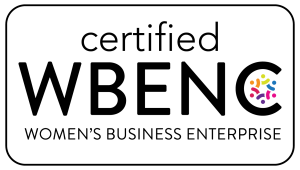 Musical instruments, among other melodic elements, were tied into the design and text of the booklet – creating a truly unique piece. A custom “sleeve” was made to hold the record-shaped booklet, which displayed photos taken over the years. And to really top the piece off, musical instrument brands were added to the booklets’ grommets as a decorative accent. The Pittsburgh Chapter of the International Association of Business Communicators honored Mindful Kreative with an Award of Honor in the annual report category for Platinum & Promises piece. The Pittsburgh chapter of the Public Relations Society of America honored Mindful Kreative with an Award of Merit for the piece. Each piece that has been created for the Healthy Start, Inc. organization has effectively communicated the organization’s story to its target audience. In addition, some pieces were touted as “simply the best” at the HSA Conference. Healthy Start, Inc. has continually been recognized among its peers during the conference “as a true pioneer” and “the HSA Project for others to replicate.” In addition, the organization has continually been recognized as one of the top in the nation. Over the years, Healthy Start, Inc. staff have expressed their gratitude – how pleased they were with the final packaging and how it aided them in “telling the Healthy Start, Inc. story” in a way often hard to verbally express. In some cases, the Healthy Start, Inc. team liked the pieces so much they included them in their volunteer recognition dinner, which honors local consortia members, volunteers and Healthy Start, Inc. supporters in the community. During the annual Renaissance Awards, the Pittsburgh Chapter of the Public Relations Society of America (PRSA) honors the region’s best public relations campaigns and tactics, as well as its most admired communicators. We are proud to report, Lowers Communications (now Mindful Kreative) was honored with a First Place Renaissance Award – Best Capabilities Piece and bestowed the coveted “Best in Show” Renaissance Award for the “Beyond Our Wildest Dreams”capabilities package. In addition, the Pittsburgh Chapter of the International Association of Business Communicators (IABC) honored Mindful Kreative with an Award of Honor in the annual report category for the “Platinum & Promises” piece. The Pittsburgh chapter of the PRSA honored Mindful Kreative with an Award of Merit for the “Platinum & Promises” piece.